Have a grandmother or grandfather who tends to go for afternoon walks and somehow winds up on the other side of town? 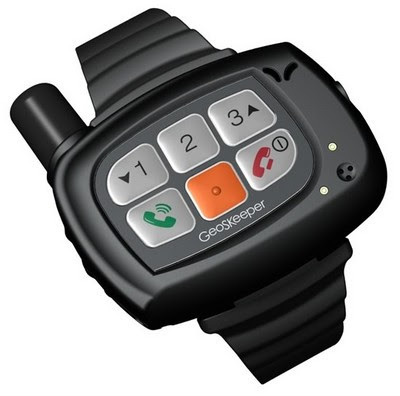 GeoSKeeper system could be your saving grace, a wrist-worn cellphone and GPS combo device that allows for others to keep tabs on the location of the wearer. It was announced back in 2008 and is now going live in Finland courtesy of EcoTec, where families can set up safe zones and receive alerts whenever the wearer decides to wander outside of them, which is reassuring, long as you're not the one wearing the thing. Calls can be made to doctors or family with the press of a button should something go wrong, and apparently you can even receive text messages.